With entering Red Bull Arena the visitor accepts the stadium regulations and shall be obliged to abide by them. The instructions of all security staff – public officials, police, fire fighters and stewards - must be strictly adhered to. Reduced price and children’s tickets are only transferable to a person of the same or lower category (ID required). Tickets lose their validity once their holder leaves the stadium. Entering the stadium with any kind of (potentially) dangerous items is prohibited (see notices at the entrances). Security staff and stewards are entitled to inspect as well as remove such items upon entrance into the stadium by looking into the clothing and/or into handbags etc..
On event days it is strictly prohibited to fly drones or similar flying objects above the stadium and entire stadium area for the duration of the event as well as two hours afterwards. It is also prohibited to enter the stadium with drones or similar flying objects. Staying on stairs and escape routes, as well as overcrowding and staying on the fences or barriers is prohibited. The smoking of pipes, cigars or cigarillos in the stadium is forbidden. 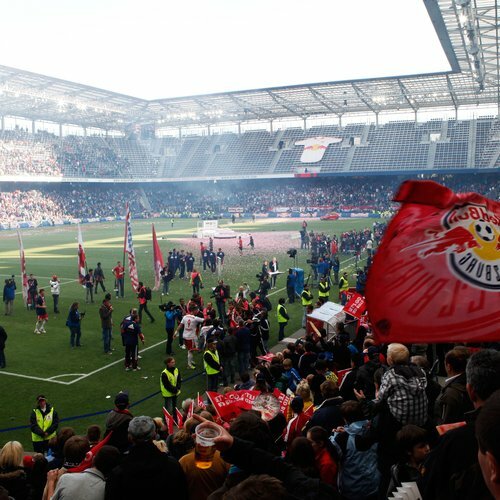 People who are under the influence of alcohol or drugs, or anyone not complying with the stadium rules or the obligations contained in the Salzburg Events Act (“Veranstaltungsgesetz”) or otherwise behaving disruptively can be denied from the entrance to the stadium or be expelled from the stadium without any entitlement to a refund of the ticket price. The distribution of any advertising material, setting up sales stands or placing any posters in the stadium, the stadium area or car park is subject to charges and is only permitted with prior written consent of the organiser. By entering the stadium, visitors grant the organiser the irrevocable, worldwide and unlimited right to use and exploit any representation of his person (image or sound) in any current media and future technologies. Visitors will not be compensated for granting the aforementioned rights. People subject to a stadium ban may not enter the stadium. An infringement of the aforesaid may result in civil or criminal law consequences. The police are authorized to remove people subject to stadium bans from a possibly established security area as well. 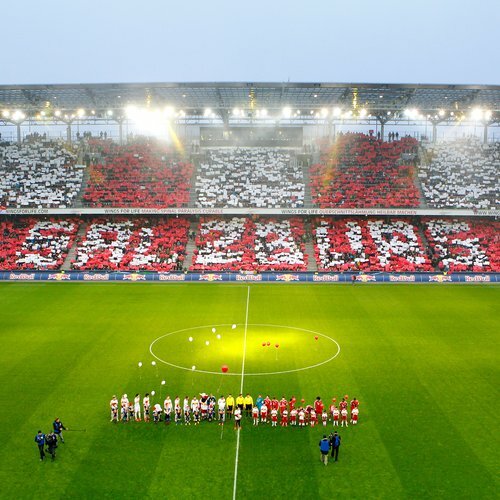 At football games the safety guidelines of the Austrian football Bundesliga and the ÖFB/UEFA/FIFA shall apply.The organiser explicitly reserves the right to indemnify and hold himself harmless from visitors whose behaviour causes damage to the infrastructure or incurs penalties from the Austrian football Bundesliga, the ÖFB, UEFA and/or FIFA. It is prohibited to bring items into the stadium that can be thrown or shot either to the pitch or to the stands or that may disturb or endanger the order and safety in the stadium. Weapons, items that can be used as weapons, knives, pepper spray etc. There are depots for the delivery/collection of prohibited items available at the entrances. These depots are opened from the stadium opening until 30 minutes after the end of the game. 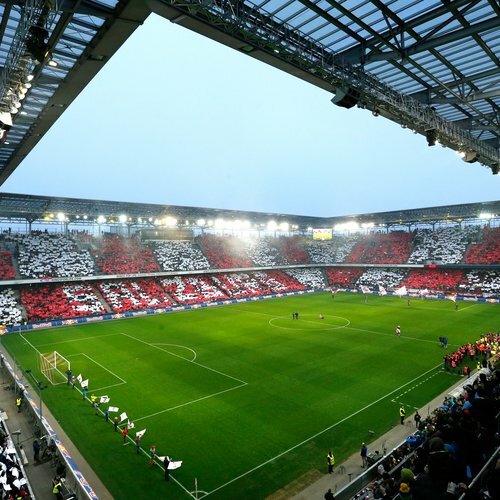 Have you misplaced something at an FC Red Bull Salzburg match? No problem, we gather all items left behind together in our locked depots and will gladly return these personally to you on request. Property not claimed is handed over once a month to the local lost property office of Wals-Siezenheim (at the council office).